Lowboy with crane, airplane, tractor... many different models invite children to build and play. 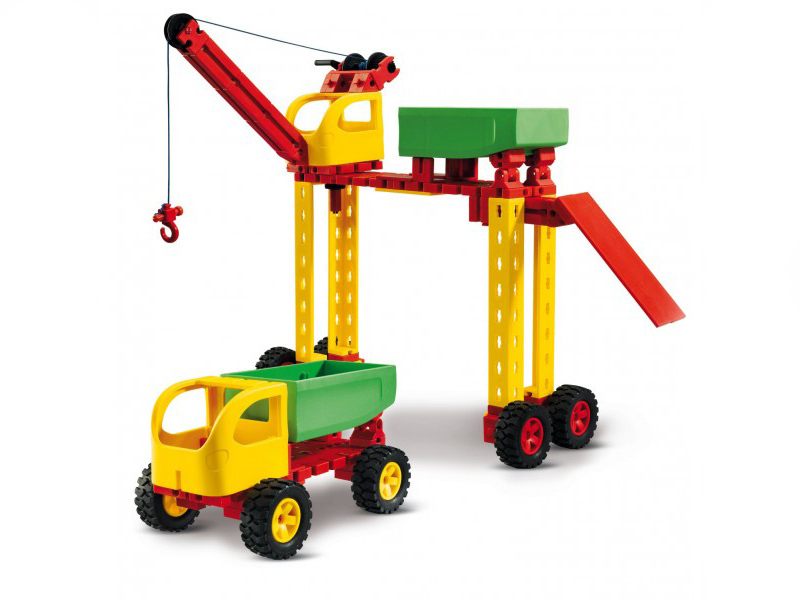 The large, easy-to-hold parts and assembly instructions written specifically for young children ensure quick construction success. Design work with this set develops important skills such as eye-hand coordination as well as gross and fine motor skills. A number of models can be built at the same time.